Win your customers’ confidence and business with a reception sign that makes them feel good about being there and doing business with you. Total Sign Co has the experience to help you make the right statement and create the right mood at your customer reception area with a new office or reception signage. 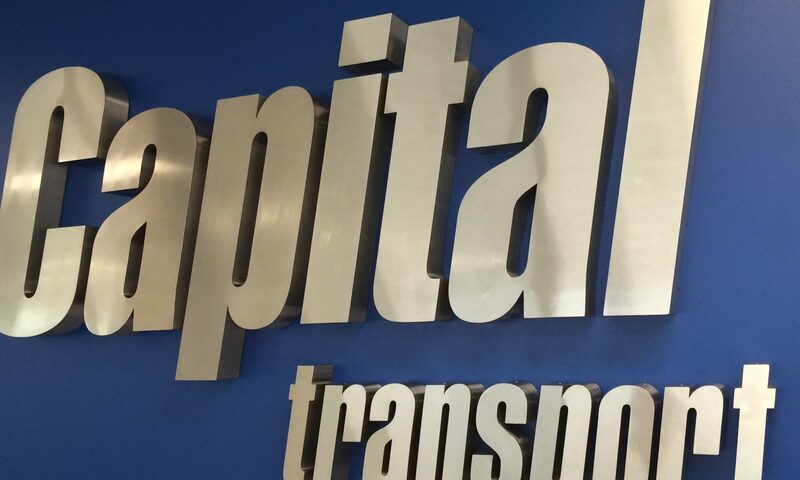 We manufacture our sign backings from acrylic in a range of sizes. Acrylic backings are very popular. They are light and easy to install, and clear acrylic looks very similar to glass when the edges are polished. We fit our sign backings with adhesive vinyl cut artwork, digitally printed artwork, laser cut acrylic lettering or a combination of all three. This gives you the flexibility to include text, logos and graphics. We pin the acrylic to your wall using Stainless Steel wall spacers to add to the class and elegance of your sign’s design. Other factors to also consider when designing your reception area, are frosted window panels, directional or door plaques that you may require. Total Sign Co can offer all of this as a design package solution.